Here at the Liriodendron, our staff and volunteers are busy getting ready for our Holiday Open House – happening this weekend. View our calendar. This special annual event features greenery arrangements, ornaments and decorations for sale, a variety of art and craft vendors, live Christmas music, free refreshments, and a visit from Santa on Saturday from 1 to 3 pm. We will also have on display in our gallery space a beautiful quilting exhibit – perfect for this time of year! 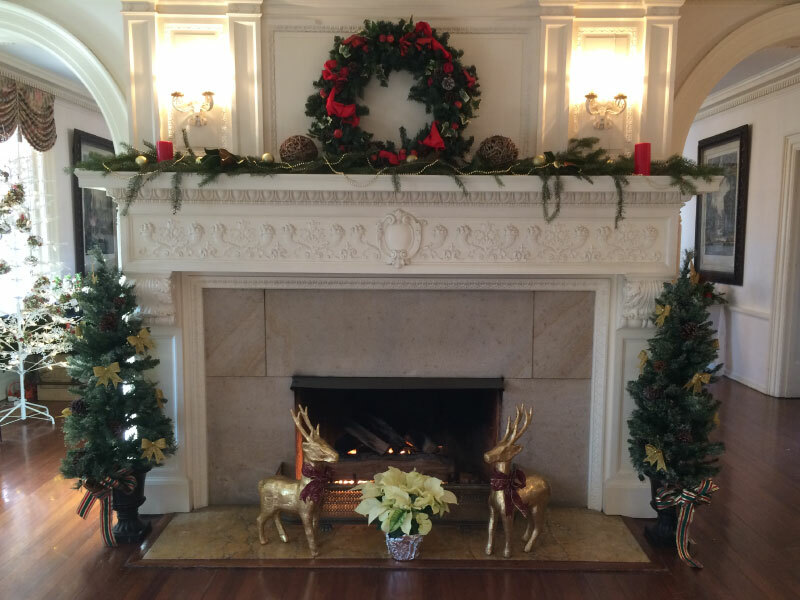 We hope you’ll visit us on Friday from noon to 5 (for greens only), or on Saturday or Sunday from 10 am to 5 pm to tour the mansion, visit our vendors, and get into the holiday spirit! But the Liriodendron is not the only place in Bel Air where you can have some holiday fun. From the Annual Christmas Parade and Tree Lighting to the Harford Artists Gallery’s Holiday Open House and Sale, there is plenty of holiday magic to be had in Bel Air this time of year!